Shepherd ISD will be closed in observance of Good Friday, April 19-Monday, April 22nd. School will resume on Tuesday, April 23rd at normal times. To complete the 2018-2019 GT survey, please click on the headline above. 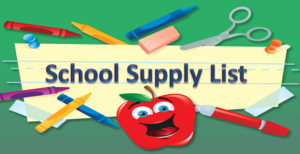 Click the headline above to see the supply list for the 2019-2020 school year. Shepherd ISD has a new Bullying Reporting system! It is called Stop!t. We began rolling the program out last week and it is available for students across the district. Please take a look at the attached documents to learn more. For more information about what's going on at Shepherd Intermediate, go to our Facebook page! 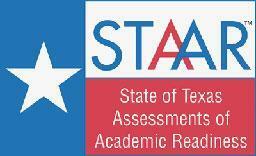 Shepherd Intermediate 4th & 5th grade students will be taking the STAAR test on April 9th & 10th. Please see testing information below. Shepherd ISD está buscando comentarios de los padres sobre la satisfacción general con nuestro plantel este año. Tómese el tiempo para completar la encuesta para cada escuela a la que asisten sus hijos. Gracias por tomarse el tiempo para completar la encuesta antes del 4 de abril de 2019. 3rd Nine week awards will be held on Friday, April 5th during your child's activity period. Shepherd ISD is seeking parent feedback about overall satisfaction with our campus this year. Please take the time to complete the survey for each campus that your children attend. Thank you for taking the time to complete the survey by April 4, 2019.